This mouse box is faux finished to look like it was made from old wooden planks. It is actually made of plywood and painted to look old. This is a magician’s prop.The plywood is a quarter inch thick. The box is about eight inches wide, and five inches tall and thick. 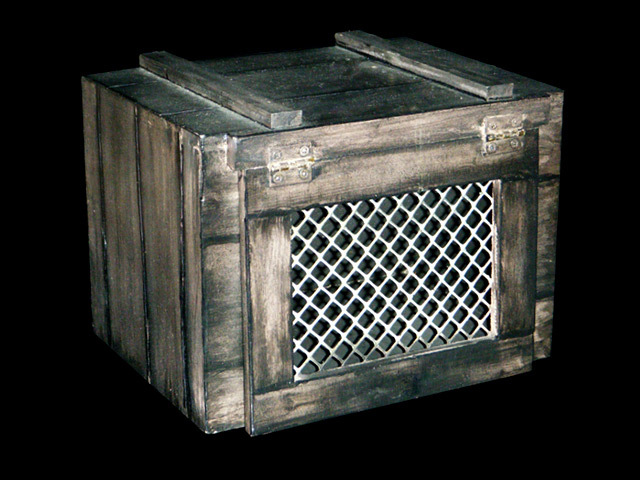 The mesh is a plastic coated wire mesh.The inside of the mouse box has a hidden space, hidden through black art, and a trap door hidden in the top entering the other side of the box. This illusion would allow a live mouse to be dropped down the trapdoor in order to vanish. The mouse was switched for a marshmallow, and then eaten, as to appear that the magician ate a live mouse. 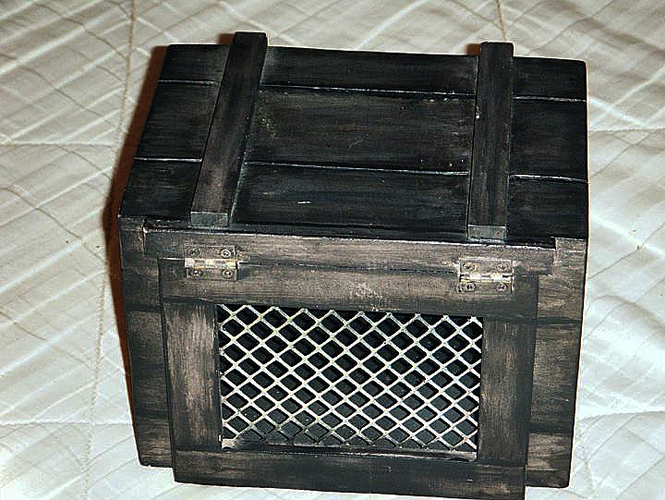 This crate and performed by Randi Rain.